Serving Indian Head and Area for Over 30 years! At Indian Head Chrysler, we know that your vehicle needs to be able to perform well in all seasons, that capability and comfort are important to you, and that receiving great customer service means everything. That's why we have a great selection of Jeep Grand Cherokees available to you and a team of friendly and helpful sales staff to ensure your needs are always taken care of first and foremost whenever you visit us. 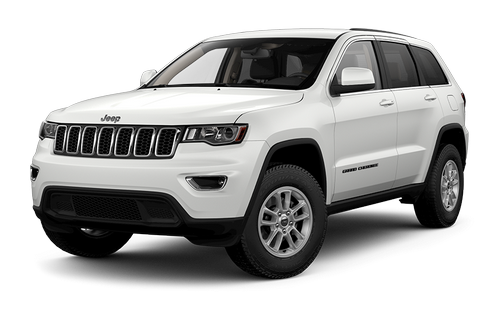 We're your premier source for the perfect Jeep Grand Cherokee near Regina as well as your automotive resource for life. Providing our customers with top tier service, excellent selection, and great prices is all part of what we do here at Indian Head Chrysler. We strive to be better every time you visit to earn your loyalty whether it's your first time here or you've been seeing us for years. Don't believe us? Come see for yourself at 501 Johnston Ave, Indian Head, SK, or give us a call at 888-356-3941. We do our research to ensure that you're guaranteed the best price around. We provide complimentary loaners and shuttle vehicles for our service customers! We aren't happy until you're happy. Our customer care extends after the sale! Standard luxuries now include a leather-wrapped steering wheel and shift knob, as well as other standard features that differ depending on the trim level you choose. Either way, your Jeep Grand Cherokee comes with more creature comforts than ever before so you can choose exactly what matters most to you.